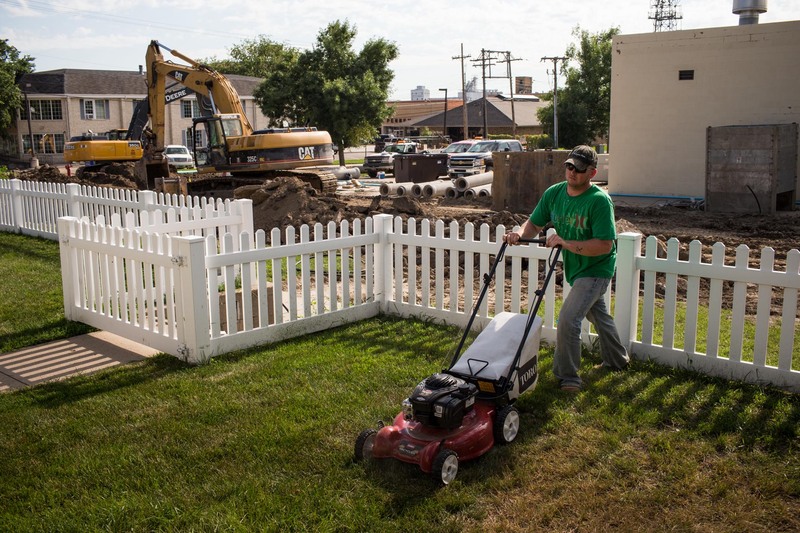 Jarrin Larson, a native of Williston, mows his lawn while a construction crew replaces storm drains along his street on July 22, 2013 in Williston, North Dakota. Over the past ten years Williston has been at the epicenter of an oil boom in North Dakota which has fundamentally changed the small town. In 2010, the town's permanent population was 14,715; city planners are estimating that by 2017 the permanent population will have doubled to 28,658. Prior to the current oil boom, Williston's economy has struggled; the city's last prosperous period ended in the 1980s, when the last oil boom dried up.